Earlier this year my daughters and I had to opportunity to be at the launch of Entrepreneur Barbie with with Erica Diamond owner of Women on the Fence and Chief Inspiration Officer for Barbie. We loved learning about the history of Barbie and catching up with other fantastic and inspiring women like Erica Ehm creator of Yummy Mummy Club. I’m excited to share a unique opportunity with all my readers called Barbie Wishes from the Heart campaign. This holiday, Barbie™ is spreading joy across Canada, honouring loved ones with a unique Barbie™ Wishes from the Heart campaign. From the beginning of November through December 31, Barbie™ is placing loved ones first, by asking Canadian children to submit a heartfelt wish for someone special in their lives on the Barbie™ My Dreams website. Barbie™ will donate $1 to Make-A-Wish Canada every time a wish is submitted*. Canadians are also encouraged to spread social joy using the #BarbieWishes hashtag, and Barbie™ will donate $1 for qualifying posts to a maximum of $10,000*. 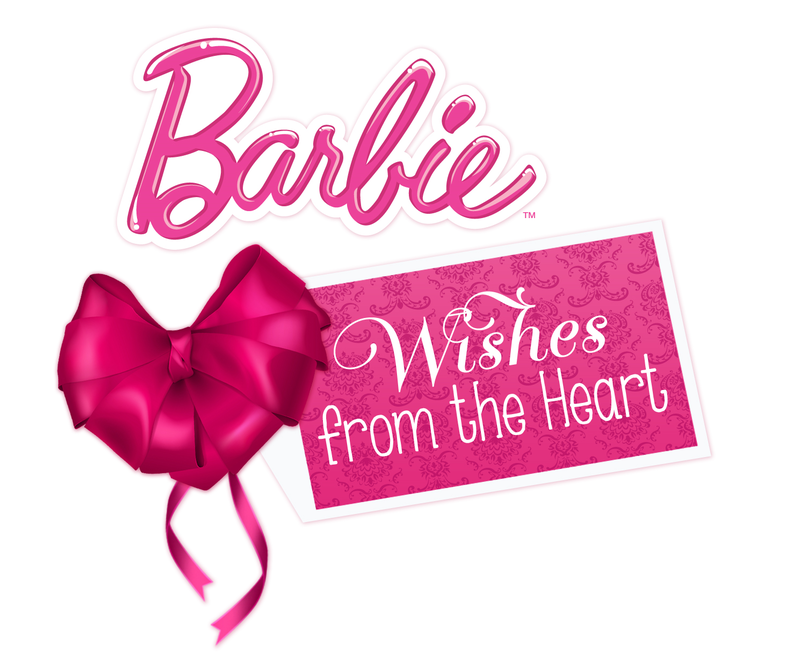 Barbie™ will also celebrate the season by granting one wish submitted online! This holiday season, Barbie™ is encouraging Canadian children to think of someone in their life who deserves something extra special, and to submit a wish on their behalf. Whether it’s a much-needed vacation for Mom, a chance for Dad to meet his childhood hero, or a day of pampering for Grandma, Barbie™ wants to know. To submit a wish, children are invited to visit www.barbie.com/mydreams and either record a video message or draft a written wish using the Barbie™ Wish Card templates. Submissions will be sent to the user’s Barbie™ My Dreams registered email address, and the wish will then be forwarded to its intended recipient for them to share. Barbie™ will release a special compilation video of children describing their holiday wishes during the first week of December; and Barbie™ will make a donation of $1 to Make-A-Wish® each time it is shared from the Barbie YouTube page. Spread the joy using the #BarbieWishes hashtag, and all donations will go to help bring hope, strength and joy to children with life-threatening medical conditions. My children and I will be submitting a video and using the hash tag #BarbieWishes during the Christmas holiday. I am looking forward to watching all of my readers inspirational videos. Thank you in advance from the Make-A-Wish Foundation of Canada! ← Bringing the Magic of Disney to Ottawa.